Iranian parliamentarian says Trump is "the most hated president", stresses his country will continue its ballistic missiles program. A day after U.S. President Donald Trump extended the waiver on Iran nuclear sanctions, thus keeping the nuclear deal signed in 2015 alive, a senior Iranian official stressed that the Islamic Republic will not step back from its ballistic missiles program. “By insulting to the black people, Trump has undoubtedly spread hatred towards himself among blacks,” he charged. 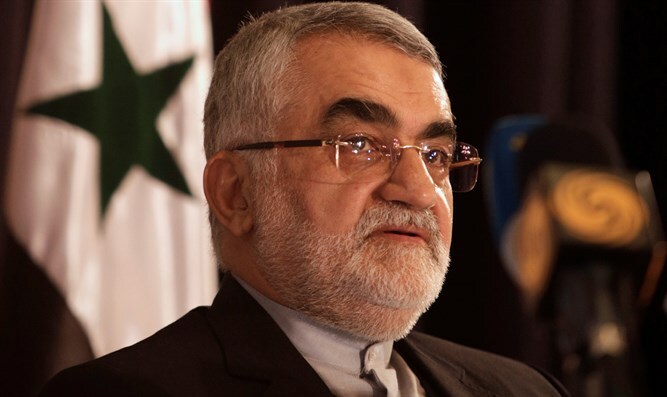 “While many European countries and the signatories of the nuclear deal have repeatedly protested to the irrational behavior of Trump, he is still considered as a serious violator of JCPOA,” said Boroujerdi, using the acronym for the Iran deal. “However Trump was forced once again to extend Iran's nuclear sanctions waiver despite all the boasts,” he added. In addition to extending the sanctions relief, Trump on Friday also slapped new sanctions on 14 Iranian corporations and individuals connected to Iran’s ballistic missile. In addition to its nuclear aspirations, Iran's ballistic missile program remains a concern as well. The Islamic Republic has several times test-fired ballistic missiles in recent months, raising the ire of the West. The United States has several times imposed sanctions on Iran, saying its missile tests violate UN resolutions.